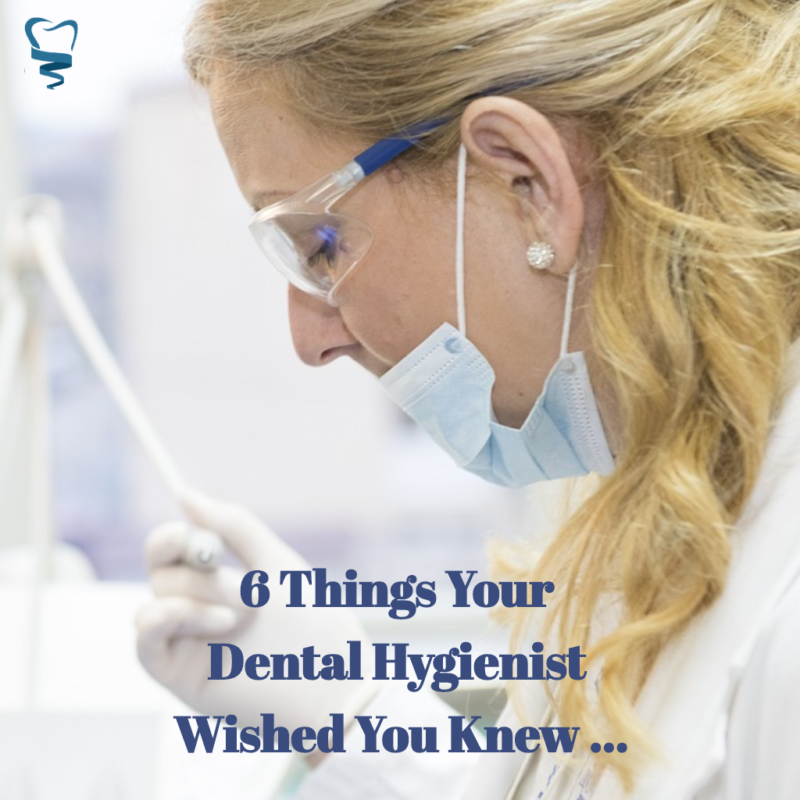 You probably come across blogs that talk about what your dentist wished you knew about your dental health all the time, right? But what about your dental hygienist? What would they want you to know? We sat down with McKenzie, one of the lead hygienists for Silver Summit Dental, and asked her that very question. She gave us some really good insights and we compiled a list of the top 6, most important things. BRUSH YOUR TEETH BEFORE YOU ARRIVE FOR YOUR APPOINTMENT. Brushing your teeth before you visit the dentist may seem like an obvious thing to do, but a surprising number of people don’t. They tend to have a “I’ll let them do it since they’ll be in there anyway” mentality. The purpose of your checkup is to give you a deep clean and address any concerns regarding your dental health. Not having to spend time removing the things your toothbrush could’ve gotten gives us more time to focus on the more important stuff. It’s more work for us if you don’t floss regularly in between checkups. Flossing keeps the gum line tight, exercising them like the gym does for your body. Without regular flossing, your gums become more sensitive and bleed more easily. It makes it harder to perform your exam because we’re constantly having to rinse your mouth. It’s time consuming and results in unnecessary pain, so do us both a favor and floss at least once a day! DISCLOSE YOUR COMPLETE MEDICAL HISTORY. We find that most of our patients tend to think of dental care and medical care as two separate things. While you may not think disclosing your medical history to the dental practice is important, it is! Medical issues, and any medications you’re taking, can affect your dental health and vice versa. Too much information is always better than not enough and missing something critical. YOU DON’T NEED TO WORRY ABOUT RADIATION FROM DENTAL X-RAYS. Your concerns about being exposed to radiation are valid. However, the exposure you get from dental x-rays is equivalent to the radiation you’re exposed to from watching one hour of television. Think about all those hours you spent binge watching your favorite TV shows. Getting your teeth x-rayed every six months pales in comparison. YES, YOU REALLY NEED TO VISIT THE DENTIST EVERY 6 MONTHS! Tissue in the mouth changes faster than anywhere else in the body. So much is happening on a microscopic level that you can’t see or feel. For example, you can’t see or feel Periodontal disease, but with it you’re losing bone and ligament structure. If you can see it or feel it, it’s already really far gone. And that cavity you decided to wait on, could turn into a root canal by your next checkup! The point of getting a dental checkup every six months is prevention and to catch problems when they’re small. INVEST IN AN ELECTRIC TOOTHBRUSH! When you use a manual toothbrush it’s harder, although not impossible, to brush consistently. An electric toothbrush uses vibrating bristles to break up plaque and delivers the same amount of vibration to every tooth. Since it does most of the work for you, electric brushes are especially good for people with limited mobility from conditions like arthritis or carpal tunnel. Also, most of them have a built-in timer so you know that you’re brushing for the recommended amount of time. Your dental hygienist, like your dentist, is a valuable resource for information. Don’t be afraid to speak up and ask questions. The staff at Silver Summit Dental continually work hard to deliver the highest quality care and ensure that your visit is as comfortable as possible each and every time.